What are RTE/ Instant Soup? It is a type of soup designed for fast and simple preparation. Commercial soups are usually dried or dehydrated, canned or treated by freezing. They can be prepared by adding boiling water to the dry soup mix. They can be packed in pouches or microwavable containers. Nowadays, a multitude of instant soup varieties exist. Pre-gelatinized starch, maltodextrins, emulsifiers, sugars, potato starch, xanthan gum and guar gum are some of the additional ingredients that can be added to the dry mix. Why Freeze Drying should be preferred? Freeze drying is one of the common methods that are applied in the manufacturing process of instant soup. It is a recent dehydration method that is restricted to high value foods due to the cost associated with the process. Freeze drying reduces the total weight of the food, thus making the transportation of these products more efficient. The removal of water helps to inhibit the growth of microorganisms and prevents enzymatic reactions. Hence, these products are shelf stable and can be stored at room temperature without the need for refrigeration. The evolving dietary habits, increasing disposable income and increasing need for convenient foods have fueled the demand for RTE soup in the recent years. Moreover, increasing preference for flavor over ingredients has led to an upsurge in demand for ready-to-eat soup products significantly. Also, as the soups have comforting connotation, increasing demand for the ready-to-eat soups is expected to impact growth of the global RTE soup market. One of the emerging trends gaining momentum in the soup industry is the innovative packaging for the products. Good packaging provides enhanced shelf life and tampering resistance. It can also be used for marketing purposes. 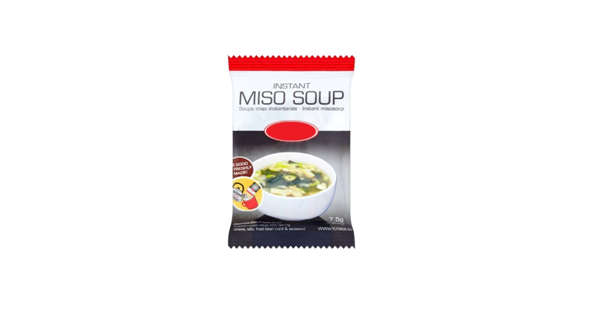 The packaging design includes a variety of soup names and pattern designs, which differentiate the flavors and associate the consumers with the Eastern and Western styles of soup.